My radishes are most often relegated to salads. There's nothing wrong with that; I love fresh radishes. Have you ever tried Radish Crudités with Creamy Ricotta? But a little back I had seen a recipe for Butter-Braised Radishes that was posted in The Washington Post in 2008. 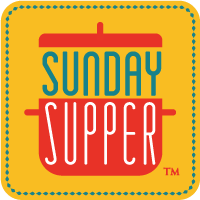 I decided to give that a try with my own little twists...and with Easter Egg radishes to bring to this week's #SundaySupper. It's remarkable how much a quick braise transforms radishes. It even softens the colors dramatically...and the braising renders the usually piquant radishes mellow and silky. Use a pan large enough to hold the radishes without crowding. Melt the butter over medium heat; let it brown slightly. Add the radishes, honey, and water. Stir to combine. Raise the heat and bring to a boil, then cover and reduce the heat to low. Cook until tender, about 20 minutes or so. Uncover, increase the heat to high and bring back to a boil. Cook for another few minutes, until almost all the liquid has evaporated. Toss with chopped mint, a splash of olive oil, and a bit more salt and pepper if you wish. I have always eaten radishes raw... I MUST try to cook with them. These look so good. Thanks for the inspiration! 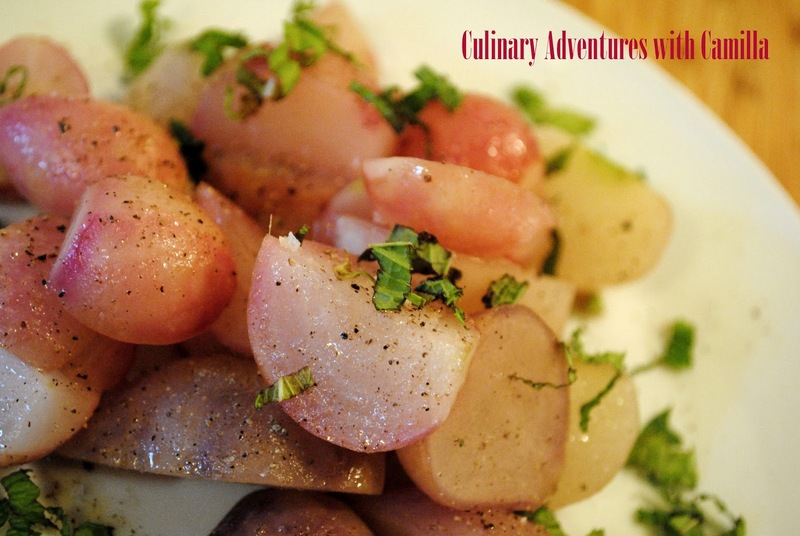 I've never cooked radishes before, but after seeing this recipe, I will definitely give cooking them a try. Thanks for sharing! Darn, I wish I knew about this recipe. I had so many radishes that they grew in my refrigerator. I didn't know what to do with them so I tossed them, and now they are gone. This recipe would have been perfect. These sound incredible! I usually just have them raw or pickled but braised in butter? Yes! This wonderful for Spring! Happy Easter! I roast radishes in the oven, but haven't braised them yet. I'll try your recipe! I have never had cooked radishes before but that is going to change really soon, thank you for a fantastic recipe!!! I forgot how good cooked radishes are, thanks for the recipe! I'll definitely have to try this out if it mellows them out a bit. Radishes are just okay in my book in moderation because of the bite, but this looks like a side I could get behind. What a different idea. I've never tried radishes this way, but it sounds really good! SO glad to see another radish fan! I love them! I love that you did a recipe from 2008! It looks fabulous! You had me at "butter! Looks yummy! Butter braised radishes?!!! Love this!! wow! I've been looking for a new way to use radishes - I'll have to bookmark this one! 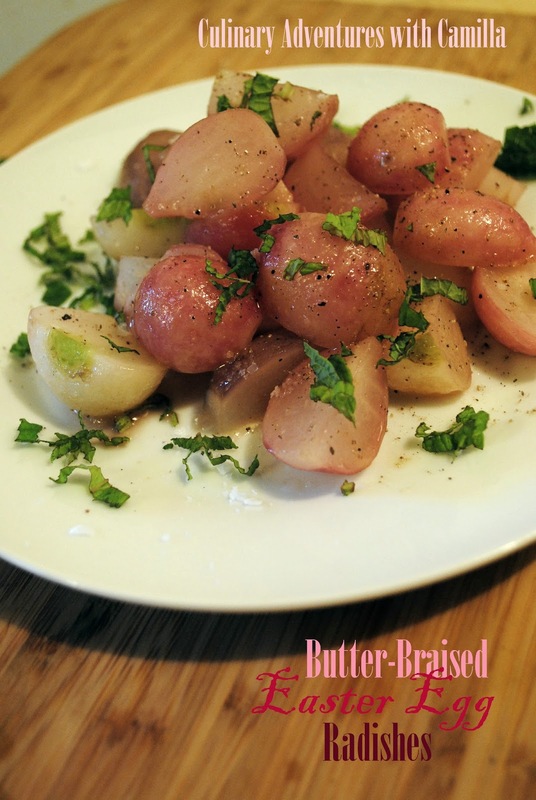 Radishes and butter is a fantastic combination! 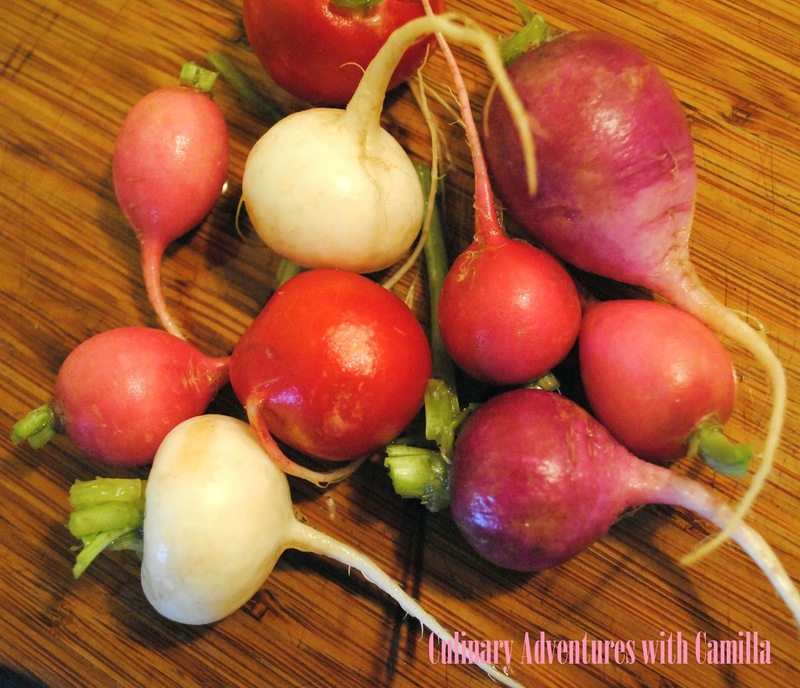 I've never been able to get into radishes but my parents absolutely adore them! Passing this recipe onto them! 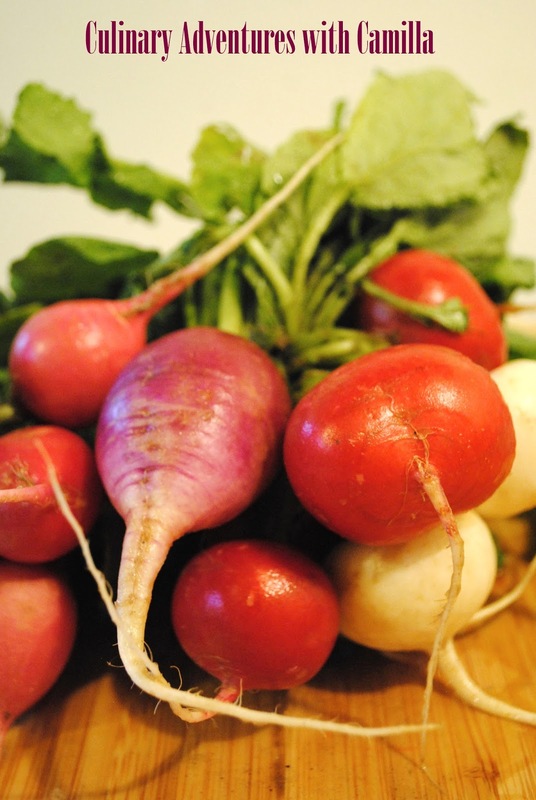 We love radishes - frequently we have them cold with a little pat of butter and sprinkle of fleur de sel.